There are a lot of beautiful places to visit in Southeast Asia. One of it is Malaysia, a country which is rich in culture and history. It is a mixture of a developing nation and a modern world. Visitors and tourists will wonder the many things that Malaysia can offer . Be sure to book your Malaysia holiday packages where you can find all the guides and information when visiting this country. For sure, a holiday to this country will be a unique and memorable experience. Here are some of the top cities not to miss when visiting this country. Kuala Lumpur- The capital and Malaysia's second largest city in terms of population, has become a tourist destination due to its great shopping, cultural diversity, cheap and good food and with some of the world's cheapest hotels. Sights not to miss when visiting Kuala Lumpur include the House of Parliament, the Merdeka Square, the Kuala Lumpur Tower, the National Museum, the Central Market, the National Monument,and religious sites such as the Jamek Mosque and Batu Caves. Kuala Lumpur is also know for its Petronas Twin Towers, who was once the world's tallest building. There are just a lot to see and experience in this metropolis. 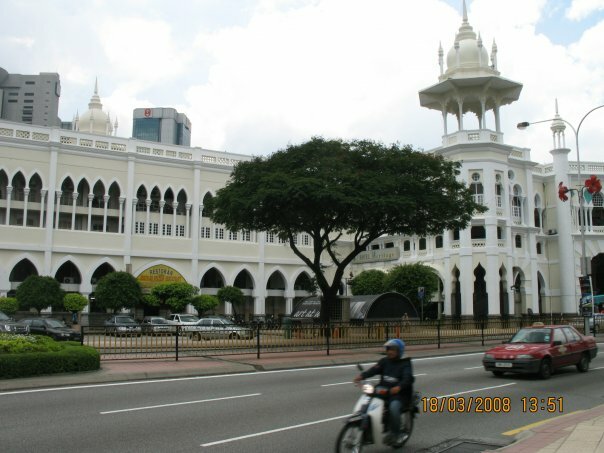 Palace of Justice in Kuala Lumpur. Kota Kinabalu- often known as K.K. internationally and within Malaysia, this city is a major tourist destination and a popular gateway for travellers visiting Sabah and Borneo. 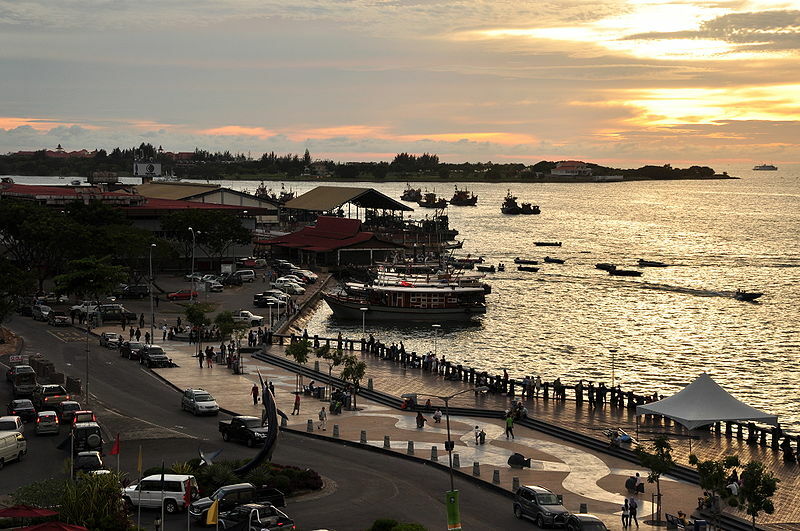 It is the capital of Sabah state in East Malaysia and one of its major industrial and commercial centres. 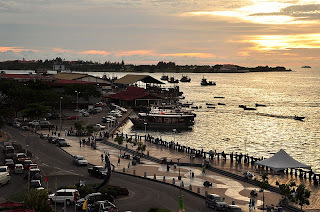 Some of Kota Kinabalu's famous attractions include the Sabah Museum,Wisma Budaya Art Gallery, the Padang Merdeka or Town Padang, the Atkinson Clock Tower, the Green Connection Aquarium and the Sabah State Mosque. Johor Bahru- This city is the gateway to Singapore. It is well well known as an industrial city with many of the world's top electronics manufacturers. For some tourists, it is not really appealing but shopping and eating in the city can be a real adventure, with many shopping complexes and a wide variety of food establishments offering budget to fine dining. There are historical and interesting landmarks to see in Johor Bahru. The Istana Bukit Serene, Sultan Abu Bakar State Mosque, Masjid India, Sultan Abu Bakar Royal Palace Museum, Johor Bahru Art Gallery (known as Galeri Seni Johor in Malay), Roman Catholic Church of the Immaculate Conception, Johor Bahru Chinese Heritage Museum are among the few ones. Malacca- This is the third smallest Malaysian state, after Perlis and Penang. It is dubbed The Historic State or Negeri Bersejarah among locals. Its rich historical background earned it a World Heritage Site designation in July 2008. This is also one of the reasons why visiting Malacca can be a unique experience. Heritage areas to visit are Cheng Hoon Teng Temple,Baba and Nyonya Peranakan Museum, Dutch Square,Malaysian Navy Museum,Christ Church,Jonker, Heeren and adjacent streets, Porta de Santiago, Saint Paul's Church and some other more.